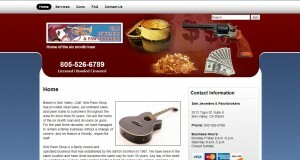 Simi Jewelers & Pawnbrokers address, phone, website, hours of operation, and more. Based in Simi Valley, Calif. Simi Pawn Shop has provided retail sales, secondhand sales, and pawn loans to customers throughout the area for more than 30 years. We are the home of the six month loan and do loans on guns. For the past three decades, we have managed to remain a family business without a change of owners, and we feature a friendly, respectful staff. 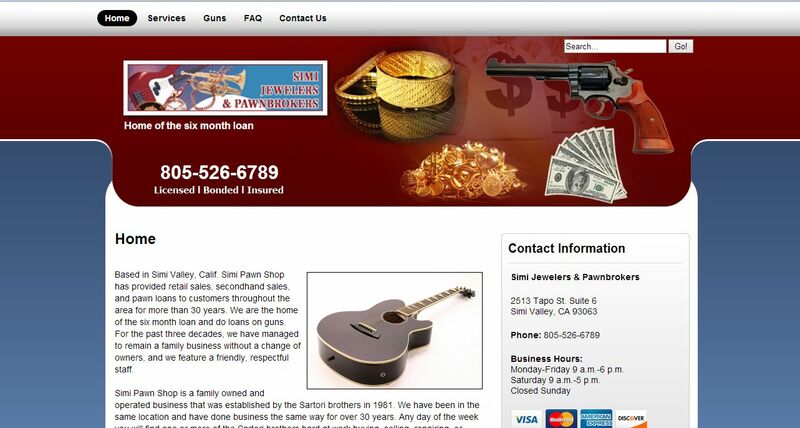 Simi Pawn Shop is a family owned and operated business that was established by the Sartori brothers in 1981. We have been in the same location and have done business the same way for over 30 years. Any day of the week you will find one or more of the Sartori brothers hard at work buying, selling, repairing, or dealing in pieces of jewelry and the other items we buy, loan, and sell. If any questions or problems arise, you are able to speak directly to one of the owners and we will be glad to assist you. We guarantee customer satisfaction on all of our products, offering a 30-day guarantee on everything that we sell. All jewelry is professionally cleaned before it is sold to provide a like-new look.